So you have got a new project on your hands. You are more or less aware of the requirements, you looked into your crystal ball to estimate your costs and your offer was accepted. Everything will be right this time; you will keep your whole team in the loop, make sure everything is delivered on time and you will educate the client. Nothing will slip through the cracks. Well, don’t get too hard on yourself. Some things eventually will, especially if you’re dealing with more than one project at the same time. The best thing you can do is to prepare and stay organised. This post is the first part of a series I just started. In the upcoming weeks I will create a checklist for each step in a website development project and ultimately create The Checklist of Checklists. I am doing this for myself, but I am happy if you can also make use of it. Even happier if you think I’ve missed some things; please let me know about them in the comments section. So as I said, you’ve got a new project on your hands. You want to start with Project Kickoff Meeting together with the client. I like to have these meetings before an Internal Kickoff Meeting. This way I have enough material to brief my team and also we don’t start throwing around ideas based on our assumptions. The goal of the Project Kickoff Meeting is to empathise with your clients, get to know them, understand their reality and the problems you’re trying to solve. You need to squeeze out a lot of information from them while making sure they enjoy that. Let’s see how that’s done. You should invite every available stakeholder from your client’s side; the more the merrier. This is a good opportunity to create buy-in and understand the working mechanism of the organisation. As a project manager you can facilitate the meeting alone, but it’s always good to have someone else with you from your team. 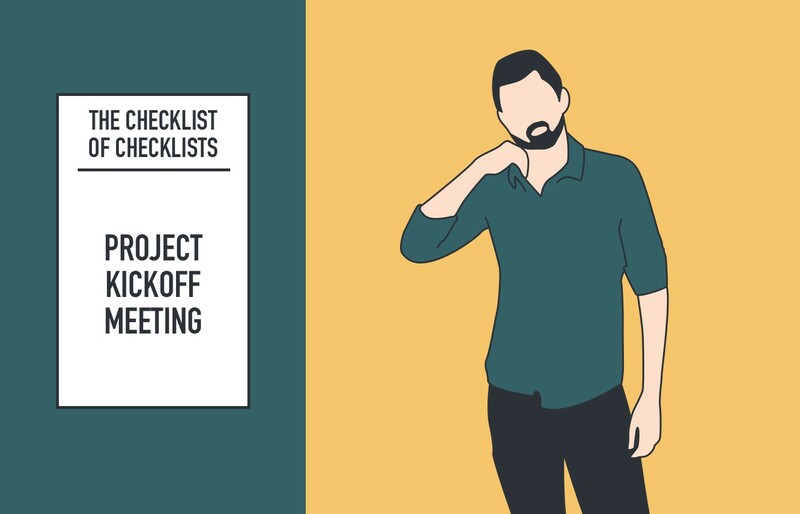 The project kickoff meeting should be at least 3–4 hours long, make sure everybody’s aware of that, but it’s fine if not everyone can stick around for the whole thing. Don’t ever forget to take notes, so always have your notebook with you. Who’s who and what’s their role? Who’s resposible for what? You can start the introduction with yourself to break the ice, it’s not impolite. Also mention your colleagues who will be working on the project. It’s a good way to show the client that design and code doesn’t just magically appear; there are several people working in the background. Try to timebox this phase, 1–2 minutes per person should be enough. After understanding who’s who, try to establish an approval process for the project. Who approves wireframes, designes and functionality? How many iterations are you willing to do? How the client should provide feedback? What tools are you using to work together with clients? Show them around and help them create their accounts. It’s much easier to do it in person. How are you going to track progress and communicate changes in the project? Once again, who should be in the loop? I suggest you set up a weekly review meeting where you present your progres and plan the next week. Try to find out why the client needs the new website in the first place. Do they have experience with previous projects? What did they like? What did they hate? How is your work going to affect other areas of the activities? Try to find out as much as possible. Before you jump into the fun part, you need to address one of the most difficult aspects of any website project, the content. Ask who’s going to provide the content and let them know: content comes first. Usually it’s almost impossible to get all the content ready before the design starts, but there are some things you can do to help yourself. We will cover this in an upcoming episode of this series. If the client already has a website, ask them to create a content inventory. You can also do this for them, just make sure you get paid. Here’s a template for a spreadsheet that’s been working for us. You can read more about the method and download template above here. Fill this with your client and make sure everyone contributes. Don’t push your own agenda, try to stay in the background to facilitate the discussion, give a little push only if they are stuck. 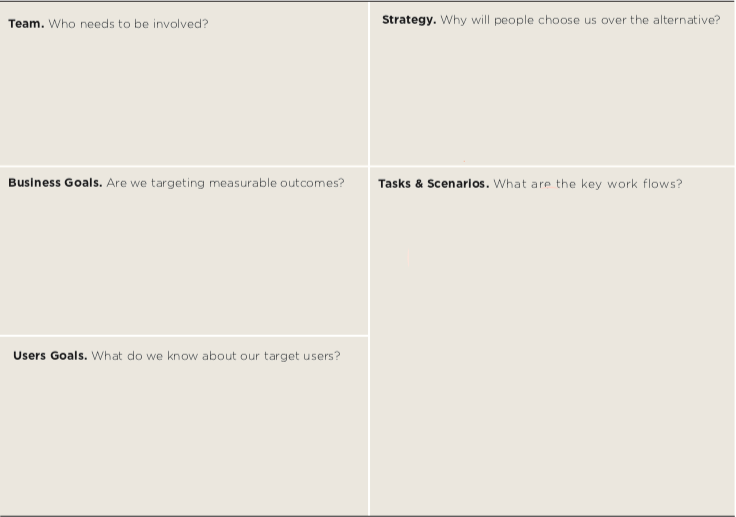 This exercise will teach you a lot about what your client thinks about their target audience and it will also make your clients think about their users. Proto personas are not to be confused with personas, creating proto-personas is not a scientific method, it is merely an exercise that gets people thinking. Once your are finished with all of the above, it’s worth asking if there is anything you haven’t discussed. Make a list of things that need to be done before your next meeting, both from your client’s and your team’s side . Add action items to the project management platform after the meeting and make sure everyone is aware of their responsibilities. Set up a time and date for you next meeting, in our case this will be a Brand Discovery Session. Ask how everybody felt during this first meeting and don’t forget to say thank you to everybody for their efforts. So this how a Project Kickoff Meeting looks like for Evermore. What do you think? Do you like it? Do you hate it? Let me know in the comments section and please send me new ideas. Thanks! Thanks to Avi Barouh and Dávid Reinhold.